There’s no table better to recognize and honour your love of the game than a custom-built one. Skilled design that fits your budget is the difference that a quality creator can make for you. Taking that to the next level, our full-service design team can ensure your table fits your space. It also needs to be an integral part of your decor and atmosphere in that room. Leveraging our insatiable appetite for excellence, we have the resources to build whatever it you’re dreaming of. For nearly forty years, we’ve been creating snooker tables and equipment of all shapes and sizes. One of our most famous custom units is The Empress – an Old English-styled solid hardwood available in either 9’ or 12’ size. With hand-honed slates and steel block rails, you’ll be amazed at the game experience these tables offer. The beauty with custom tables is that the design can be unique and exact for your needs. If you have a unique design in mind or a particular table height, we can work with that. If you want something elaborate or very modern-looking, those are all things we can discuss. Even the very wood and materials the table is made out of can be customized to your liking. Our tables come with your satisfaction guaranteed as a standard. That’s only the beginning though with how we do business and how we build tables. We have tons of experience with delivery of tables to help get the finished product to its destination without damage. We also can include tournament championship balls, cues, and bridges/rakes as well. A table built by us uses parts and processes we’re intimately familiar with. As such, we’re very eager and capable to support you in the future for all your eventual maintenance needs. We’re confident that you’ll come to expect nothing short of the finest quality of work from our team. That’s the standard that we hold ourselves too also. 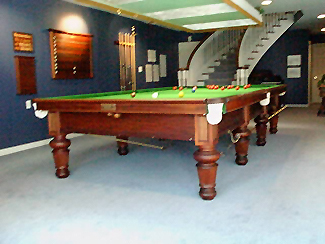 We’re happy to offer billiards and pool table designs as well if those interest you. If a custom design isn’t quite what you had in mind, that’s okay too. Our history started with refurbishing and restoring tables. Antiques and vintage units are what we’re all about here if that’s your desire. 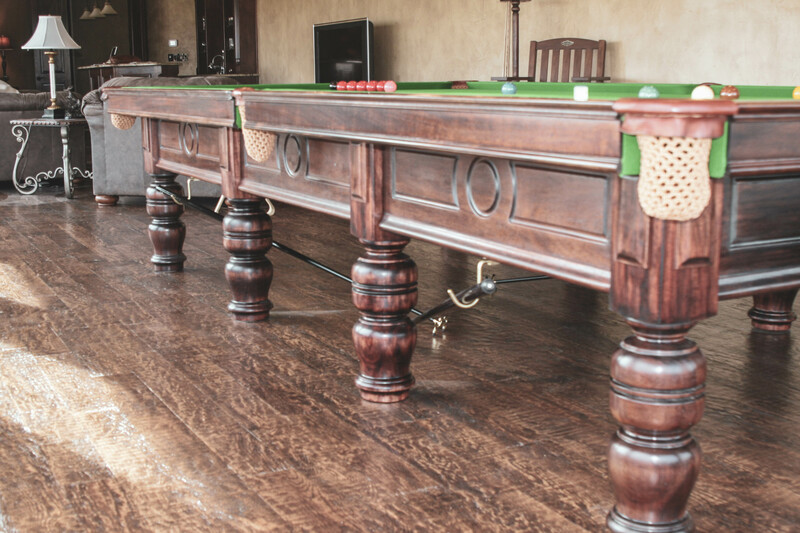 We hope to be a special integral part of your next table and games room furniture upgrade. As a kid, I fell in love with the game of snooker at the age of nine at a men’s club where I spent hours studying the game. In my teenage years, I worked in pool halls and at some local joints to make a bit of lunch money for myself. Out of that passion from a young age came a deep and special connection to the game. When I started my business restoring and working on used tables, I had no idea where this passion would take me. If we’re to be the destined maker of your next snooker table, please keep us posted when you’re ready!